As parents, we're always thinking about how to make learning fun. Luckily many toy manufacturers are pondering a similar question. 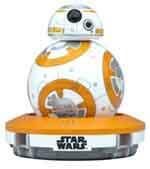 This year there are so many fun and educational toys parents can choose for their kids. It can be a daunting task deciding which one is best for your child. To help, we've compiled a list of the Best Educational Toys of 2019. Rather than kids spending hours crushing candies or launching birds, parents can take advantage of that play time and have them learn some new skills and gain new knowledge. For example, the Star Wars Droid Inventor Kit by littleBits can teach children to be creative engineers and design their own droid. To find the best educational toys of the year, we did comprehensive hands-on testing on over 40 different educational toys, some electronic and some not, and came away with some awesome educational options! Here are the Best Educational Toys of 2019! First, the B. 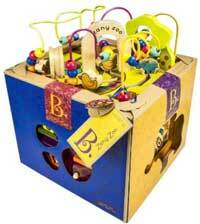 Zany Zoo Wooden Activity Cube is a great toy for little ones! 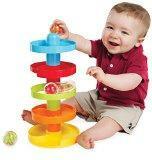 It has five sides for your baby to explore, from brightly colored beads to manipulate (a great fine motor activity!) to little doors that open and close to reveal animal pictures. There is also a side that introduces the letters of the alphabet with fun spinning blocks. Great for learning and fun! Our next pick is the Earlyyears Roll 'n Swirl Ball Ramp, a 5-tier ramp with three rolling balls. Your little one will love putting the balls on the ramps and listening to the fun noises as the balls swirl down. So how is this an educational toy? While your baby is having fun, he/she is also learning about cause and effect relationships, problem solving, and working on their fine and gross motor skills. 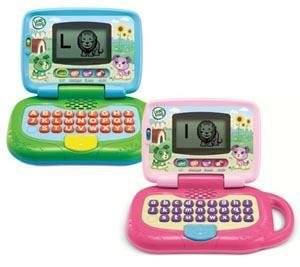 Third is the VTech Light up Baby Tablet that teaches letters, numbers, shapes, and more. Just like mom and dad, your baby can check pretend email and weather! 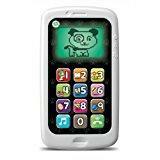 First, the Leapfrog Leaptop for kids is a fun learning toy that helps your little ones learn the ABCs, play music, learn animal names, and send and receive pretend emails! We found the Leaptop age-appropriate, user friendly, easy to pack up and stow away, and very importantly it was not annoying at all (which is rare!). Second, the Leapfrog Phonics Fridge Letters. These are very popular right now: this cute school bus sticks to your fridge along with magnetic alphabet letters that you can put onto the bus and hear the letter pronounced. Teaches the letters, phonics, and basic vocabulary, and also sings the alphabet song! This is an awesome educational toy for while mom and dad are cooking! Third, the Leapfrog Chat and Count Smart Phone is a really awesome little play "smart phone" just like mom and dad's. Press the voicemail button to hear messages from your puppy pal, press the music button for a cute melody, and learn how to count with Scout! 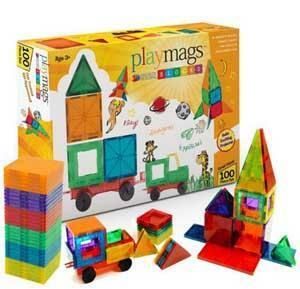 First, the awesome and versatile Playmags Magnetic Tiles set. Similar to Magna-Tiles and Magformers, these magnetic tiles can be used to make just about anything. Let your kid's imagination run wild while they build cars, trucks, houses, castles, rocket ships, and more! These are a great sensory toy and perfect for the budding engineers and architechs! Second, the VTech Write and Learn Center is perfect for little kids starting to learn how to write letters, lines, and shapes. With a magnetic drawing pad and stylus, they'll be entertained for quite some time with all the activities. Third, the Melissa & Doug Learn-to-Play Piano is a great way to introduce your child to the art of making music. This piano comes with a color-coded keychart and a book with classic kid's songs, making it easy for your child to feel like a musician. We couldn't choose just three in this category; there are just so many good ones out there! First, if you might be raising a future scientist or engineer, there is nothing better on the market than the Snap Circuit kits! These are super high quality kits that include everything your big kid needs to make an electronic circuit that actually works. From simple switches to complex projects involving variable capacitors and speakers, they'll be sure to amaze with you with what they can accomplish! There are lots of great kits to choose from, like Snap Circuits Lights, Snap Circuits Arcade, and Snap Circuits 3D Illumination. Similarly you might want to check out the littleBits Electronics kits. If your child is a Star Wars fan, you'll want to check out their Star Wars Droid Inventor Kit. 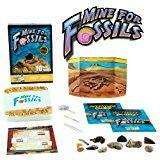 Second, teach your kids a bit about natural history, fossils, and archaeology with an awesome Mine for Fossils excavation kit that involves digging and brushing away rock, sand, and dirt to discover multiple hidden fossils. Third, the Sphero series of programmable (using a simple interface!) robots is designed for kids to help them explore programming and robotics without too much of a headache. Kids can guide the robot by simply telling it where to go using voice commands, with a simple smart phone app (phone not included), or give it full autonomy and see where it goes and what it does. A favorite with tons of kids, the Sphero robots are high quality and tons of fun. We also love the GoldieBlox building sets! Though they are marketed as engineering for girls, we think they're great for both boys and girls! These kits include a storybook that describes a problem that Goldie and her friends must solve using engineering principles, enhancing spatial and problem solving skills. Choose from a variety of fun projects like building a movie machine, spinning machine, or a dunk tank to name a few. Fifth on our list is MaKey MaKey-An Invention Kit for Everyone. Just connect two objects to the MaKey MaKey (which is connected to a computer) via alligator clips and you can turn everyday objects (like a banana!) into a keyboard or even a piano. A great open-ended toy where the options are limitless! Let your child create and explore. Sixth on our list, for kids who love to build with blocks and make contraptions, check out KEVA blocks. Kids will love building amazing contraptions with these sets. 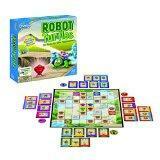 Our last item to make our list of top educational toys is a board game called Robot Turtles. This is a great game to teach your child about the fundamentals of programming, inspired by the Logo programming language. Move your turtle around the board using simple commands such as left, right, forward. This game can go from beginner to advanced level, which will keep your child engaged as they get better and better.